"Coming In From the Cold" The Latest Tax Amnesty In Greece And Lessons For The Future. The staff of the UC Davis Journal of International Law and Policy (“JILP”) is excited to publish its twenty-fourth volume this year. 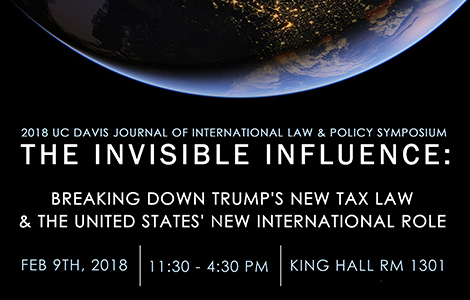 The UC Davis Journal of International Law and Policy publishes semi-annually and strives to contribute pertinent and interesting scholarly works to the field of international law.